After two years of attacking Corbyn, Labour's self-styled moderates are lost. Labour’s better-than-expected performance in the June general election has led to an outbreak of soul-searching in the Conservative Party: how can they broaden their appeal? What does modern Conservatism stand for? Where is Britain going? Few parliamentary figures embody the limitations of the moderates more than Chris Leslie. A shadow chancellor under Harriet Harman and interim party leader following Ed Miliband’s resignation in May 2015, Leslie is the quintessential apparatchik-careerist. Beginning his working life as Gordon Brown’s photocopier, Leslie was elected as the MP for Shipley in Yorkshire at the young age of twenty-four, becoming a junior minister five years later. His seat fell to the Tories in 2005, which led him to a stint working for the New Local Government Network — a Blairite think tank — before being imposed as the Prospective Parliamentary Candidate (PPC) for the safe seat of Nottingham East in 2010. As Jeremy Corbyn’s socialist politics gained ground, Leslie discovered a new political relevance providing quotes to the media. In a string of articles he branded the new leadership “implausible,” the new membership “starry-eyed hard left,” and the new anti-austerity political direction harmful to the working class. While Labour activists and MPs were euphoric over their unexpected gains in the June election, Leslie argued that the party had missed an “open goal” by not winning, even going so far as to call for Corbyn’s resignation — for which he was branded a “sad, lonely, bitter man” by left-wing MP Clive Lewis. Caution, moderation and corporatism found sympathy among many leading trade unionists in the twentieth century. As Trades Union Congress (TUC) General Secretary, Walter Citrine sat on no less than thirty public bodies and in 1946 suggested “we have passed from the era of propaganda to one of responsibility”. Ernest Bevin, General Secretary of the Transport and General Workers Union (T&G) went further, arguing that “the trade union movement has become an integral part of the state” underpinned by high industrial density and a new appreciation for the power of government to intervene in and shape the economy. On the political side, the laborist influence on the Labour Party is clear and manifest among the many right-wing trade unionists who moved into office. Chief among these is the aforementioned Ernest Bevin who, having used the 1935 Labour conference to “hammer” pacifist leader George Lansbury, would throw his support behind Clement Attlee to thwart Herbert Morrison’s ambitions. 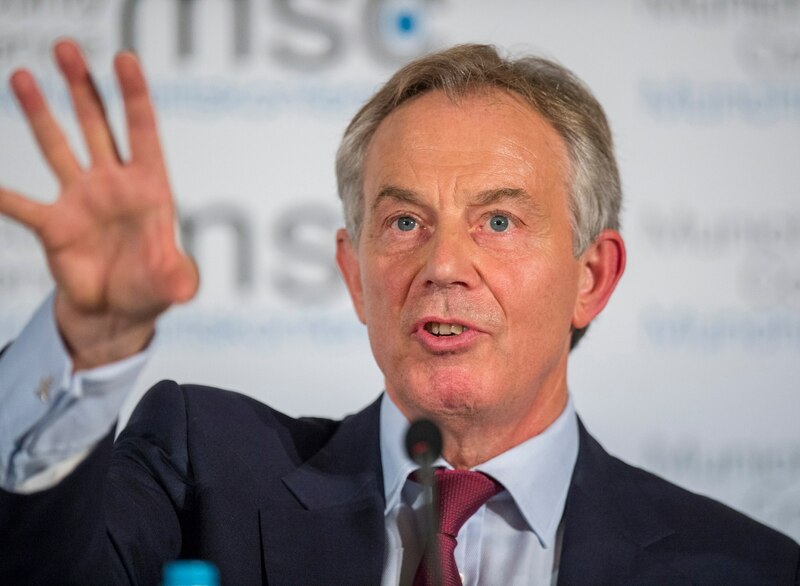 He subsequently served as minister for Labour and foreign secretary, playing a key role in the creation of NATO and Britain’s independent nuclear deterrent. There is a strong case to be made that were it not for death, alcoholism, and disability respectively, John Smith, George Brown, and Jack Ashley — leading figures on Labour’s trade union-oriented right — could well have become prime minister. Though perhaps most influential under Attlee and Gaitskell, the trade union right is best remembered in the popular imagination for its battles against Bennism in the eighties. As early as 1981, the right wing had taken a majority on Labour’s national executive committee (NEC) due to the organizational nous of figures such as John Golding, the postal union official and MP. In taking power, they were able to — in Golding’s words — offer the Left enough rope to draw up a disastrous manifesto for the 1983 general election while avoiding any blame for its political content. In the 1970s and ‘80s such skullduggery became a key feature of the Right’s modus operandi, with few demonstrating a zeal for the dark arts more than seasoned fixer John Spellar. According to Francis Beckett, Spellar “learned at the feet of veteran anti-communist Frank Chapple” and became a pivotal figure in the horse trading that typified TUC and Labour Party conferences. Known as “the scourge of the Left” Spellar maintained an office in EETPU and later Amalgamated Engineering and Electrical Union (AEEU) headquarters even after he had become an MP. With a foot in both camps, Spellar has been involved in a dizzying number of factions within the party, such as Labour First, Social Democratic Alliance, Campaign for Labour Victory, and Labour Solidarity, as well as wider movement organizations like the Mainstream Group, Members First, and the St Ermin’s Group. The Warley MP’s bombastic, hardline approach to the Left was not only highly divisive — the Bakers’ Union’s Terry O’Neil branded him “very much to the right of Senator McCarthy” — but marked him as perhaps the last heir to a waning tradition. While an administrative model of trade unionism could yield success in a corporatist economy, its influence in an increasingly open market was far smaller. Likewise, the practice of backroom fixing, so beloved of Spellar and Golding, is simply not possible in an era of enhanced transparency. Historically loyal to the party leader, general secretaries such as the GMB’s John Edmonds became vocal critics of Labour’s direction, particularly with regard to PFI, public sector reform, and privatization. While Alan Tuffin and Toby Young — of the Union of Communication Workers and National Communications Union, respectively — were voices of moderation in the 1980s and early 1990s, the amalgamated Communication Workers Union has subsequently swung decisively to the left. While New Labour traded on the idea of a “progressive workplace consensus,” in reality, little effort was made to incorporate the demands of either trade union officials or the rank-and-file membership. As concern for organized labor diminished, the party’s politics swung decisively towards market liberalism, leaving its social-democratic corporatism behind. The clearest embodiment of the Right’s decline was Derek Simpson’s defeat of “Tony Blair’s favorite trade unionist” Ken Jackson, in the 2002 Amicus general secretary election. A former communist, Simpson argued that the partnership model encouraged by his predecessor was “smoke and mirrors” and that opposition to the Blair project was required not only from Amicus members, but across the labor movement. His victory helped facilitate Amicus’s merger with the left-wing GPMU, weakening the union’s remaining right-wingers. More importantly, it set the tone for the union’s 2007 amalgamation with the T&G to create Unite: Britain’s most politically influential union, and the only one with an influence in every area of the economy. In the subsequence decade, Unite has played perhaps the most central role in moving Labour to the left, a process facilitated in large part by United Left (UL), the largest rank-and-file body in the union movement. Established in the wake of Unite’s foundation, UL members currently hold 54 percent of the seats on the union’s executive. Its only viable opposition comes from the industrially focused and political independent Unite Now and Unite Alliance groupings. In turn, it has a strong influence on the union’s internal culture, policy, and relationship with Labour. With some regional exceptions, right-wing opposition — traditional or otherwise — in Unite is thin on the ground. This is a remarkable turnaround, given the recent history of its successors, and is a lesson of contemporary relevance. Indeed, when Gerard Coyne, assisted by John Spellar, attempted to win leadership of the union this year he did so without an organized, member-led campaign. His failure demonstrated the degree to which right-wing trade unionism has waned as a force. It is an irony of history that Blairism — a phenomenon that owed more to Marxism Today and Eurocommunism than the trade union movement — undermined the Labour right’s material foundations. But it also makes sense. Why, after all, should trade unions exercise support to the point of deference to a style of politics that marginalized their influence and undermined their industrial power? While John Golding may have been a master maneuverer, and styled himself as “the hammer of the Left,” it should not be forgotten that he was motivated by sincere politics rooted in the community and movement which created him. His maiden parliamentary speech in 1969 was to make one of the first calls for a national minimum wage, and he attracted notoriety for filibustering a bill to privatize British Telecoms for a record eleven hours, offering the company temporary respite until after the general election. Golding’s opposition to the organized left reflected something more than careerism or crass opportunism. His contrast with Chris Leslie could not be more striking. In the two years since Jeremy Corbyn became Labour leader, Corbyn-sceptic MPs have demonstrated little by way of conviction to a suspicious membership. Wasting time tripping up the leadership and going to war with a majority of the party’s members, Labour’s right has failed to offer any compelling vision of what the party should actually be. Meanwhile the values of many on Labour’s right remain in stark contrast with the working-class movement. In the ‘80s, the St Ermin’s Group, a crucial body in the era’s factional battles, brought together senior trade unionists and MPs including former APEX president Denis Howell, GMWU officer Giles Radice, deputy leader Denis Healey, and Golding himself. This symbiosis was organic then but would be nearly impossible to replicate today. With the exception of former AEEU hand Tom Watson, there are simply too few senior moderates who would feel comfortable on the floor of both the TUC and Labour Party conference. Any attempt to rebuild right-wing laborism will be a long-term process. The corporatist model of the traditional right fell apart in the twentieth century. So too, now, has its replacement, the Third Way. Any serious renewal cannot base itself in the clawing and failed politics of anti-Corbynism. It must ask the serious questions about what those on the Labour right represent — and why. Until the moderates begin to consider how they may fashion new alliances and develop new policies, the question of what their purpose is will remain unanswered. Similarly, individuals and groups associated with Labour’s right may wish to consider who they are supporting and why. The romantic pull of aligning yourself with titans of the Labour right such as Ernest Bevin, John Smith, or Denis Healey is undoubtedly strong. But this should not mean defending failed politics or failed politicians. It’s easy to act like John Golding — but it doesn’t mean much if you’re really Chris Leslie. John Cooper is a lifelong trade unionist and member of the Labour Party.